Artist Peter Funch photographingEmmons glacier on Mt. Rainier from the Burroughs Mountain Ridge. 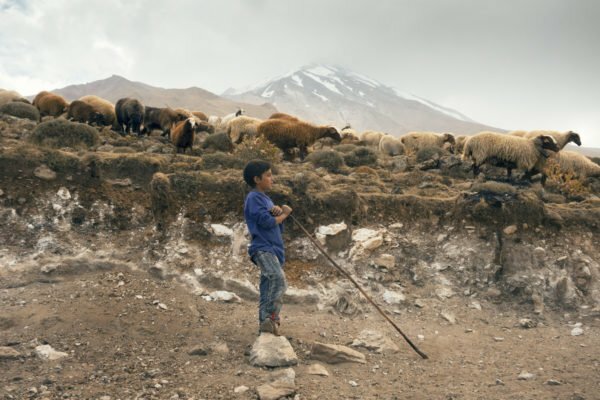 Acclaimed photographer Peter Funch has recently returned from his second Project Pressure expedition to the Cascade Mountain Range. In 2014 Funch and his team travelled to Mount Baker to replicate archival postcards of the mountain’s most famous vistas. 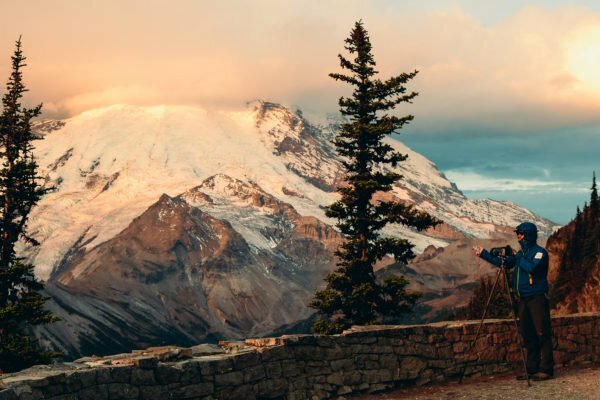 On their return to the national park they turned their attention to Mount Rainier, drawing on the rich sightseeing history of Washington’s highest peak. They started their journey near Nisqually Glacier travelling towards Camp Miur. Here they were able to draw comparisons from the archival postcards, including from the edge of the Nisqually Glacier valley. The team hiked across the Burroughs Mountain Ridge, then continued their journey across the national park at Tolmie Peak near Eunice Lake. Follow the journey on Instagram and Twitter as we share behind the scenes images from this interesting journey. Artists Mariele Neudecker and Klaus Thymann have recently returned from a collaborative project to detail the glaciers surrounding Narsarsuaq in Southwest Greenland. This area was chosen due to the dramatic examples it provides of tidewater glaciers, where the ice meets the ocean, thereby allowing the team to document the impressive scenery through photography and video. The team arrived in Narsarsuaq, from where they travelled by boat around the peninsula into Qoroq bay to document the ice fjords of Mellemlandet. There was a thin layer of ice on the water’s surface; as it approaches winter sea-ice-minimum has been reached and the artic ice starts increasing. The inlet of the fjords is also extremely hazardous as it is pitted with icebergs of all shapes and sizes. From the water they studied Qorqup glacier, this area has been considerably well monitored over the last two decades; research has shown significant retreat from Qorqup, as well as growing ice rifts causing the glacier to thin. The expedition continued as the fog, rain and wind swept in and the artists started on a six-hour trek to Kiagtut glacier. Each of the group maintained communication with whistles as visibility got down to approximately 5 meters. Using compasses and GPS systems were the only way to guarantee moving in the correct direction. After camping over night the artists continued via helicopter to Eqalorutsit glacier west of Narsarsuaq – staying near viewpoints that enabled spectacular views of the glacier terminus both during the day and at night. The glacier runs through Sermilik Fjord carving a valley that allows for beautiful panoramic views of the ice and water juxtaposed by the baron Greenlandic landscape. After spending some days observing the glacier the team returned to Narsarsuaq. 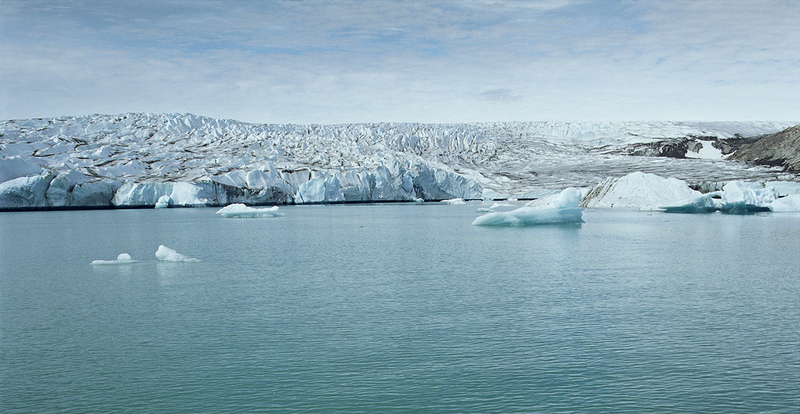 Although only touching on the issue of Greenland’s ice sheet recession this expedition has allowed the artists to observe some of Greenland’s impressive glacial formations that will be interpreted as unique artwork to be preserved as part of Project Pressure’s archive. The still and moving imagery will also be added to the open source MELT platform currently in development; see the beta version here. Next year Noémie Goudal and Project Pressure will collaborate on an expedition to document glaciers and use ice sculptures to indicate fluctuations in data. Opening today, however, is her solo show at The Photographer’s Gallery, London. Southern Light Stations continues Goudal’s analysis of the natural world by exploring humankind’s relationship with the sky through photographs, stereoscopes and architectural installations. Open from 2nd October 2015 to 5th January 2016. Sign up to our newsletter for updates on Goudal’s expedition, or help put more artists in the field by donating. Today marks the start of the Project Pressure expedition to Greenland with Mariele Neudecker and Klaus Thymann, who will collaborate on a project to detail the glaciers surrounding Narsarsuaq in Southwest Greenland. 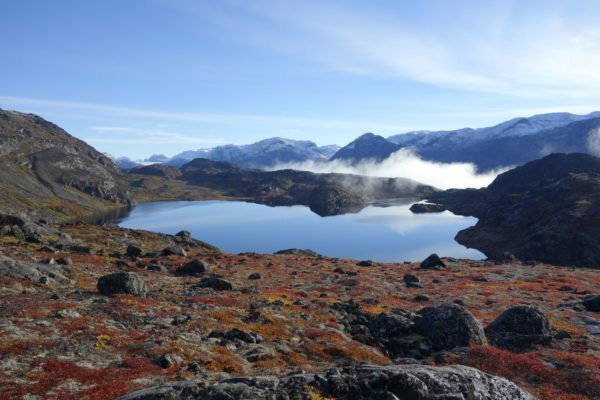 The team will stay in the field near Kiagtut glacier, before heading to Eqalorutsit glacier – camping near viewpoints that will provide extraordinary views of the glaciers. At each location precise GPS data will be recorded. This will enable future comparisons of the same glaciers to be easily recreated and mapped digitally, allowing glacial fluctuations to be observed. 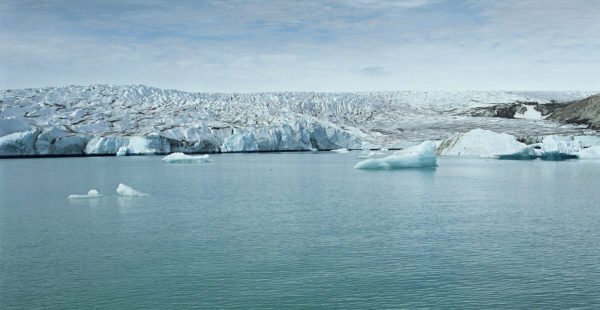 It is recognised that as glaciers and ice caps melt under the strain of climate change it will have disastrous effects on the oceans, thus the importance of monitoring tidewater glaciers such as the ones on this trip. This expedition has been made possible with a grant from The Lighthouse Foundation.